← What is Holistic Dentistry About? Mercury-free fillings are a substitute to the popular amalgam whose weight has been shown to be approximately 50 percent elemental mercury. Too much exposure to mercury is known to cause kidney and brain diseases such as Alzheimer’s and multiple sclerosis. The FDA regardless deems these fillings safe and advocates against stripping off amalgam that hasn’t worn out. If you are skeptical of this advice, there are alternative fillings that are both mercury free and have been shown to last longer than amalgam. Once you and your dentist agree that you need mercury-free fillings, your teeth will be checked for decay before the procedure commences. Any decay has to be washed off first. The tooth will then be reshaped using special tools to accommodate the filling. Next, your tooth will be cleaned to remove debris and plaque that may hinder proper bonding of the filling material on its surface. 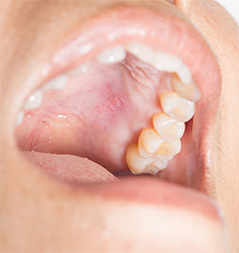 A rubber dam may be placed around the tooth to separate it from the rest of the mouth. Your dentist will use phosphoric acid to etch the dentin and enamel of the tooth. Etching gives your tooth a frosted appearance, helping the restoration adhere to the tooth surface. Next, a bonding agent is smeared on the tooth followed by a layer-after-layer application of the restoration. A high intensity light may be used to cure both the bonding agent and filling material. The restoration is usually placed in excess so that it can be cut to be level with the tooth’s cusps. Smart Dental offers mercury-free fillings and a range of other solutions to decay-damaged teeth. Call us at 352.620.0093 today to schedule a consultation with one of our qualified professionals in Ocala. This entry was posted in Holistic Dentist and tagged dental fillings, holistic dentistry, mercury-free fillings. Bookmark the permalink.